Jesus said, “Let the little children come to me, and do not hinder them, for the kingdom of heaven belongs to such as these.” (Matthew 19:14). There is beauty inside the St. Francis of Assisi Sculpture Garden and, thanks to its founder Mic Carlson, splendor outside of it. 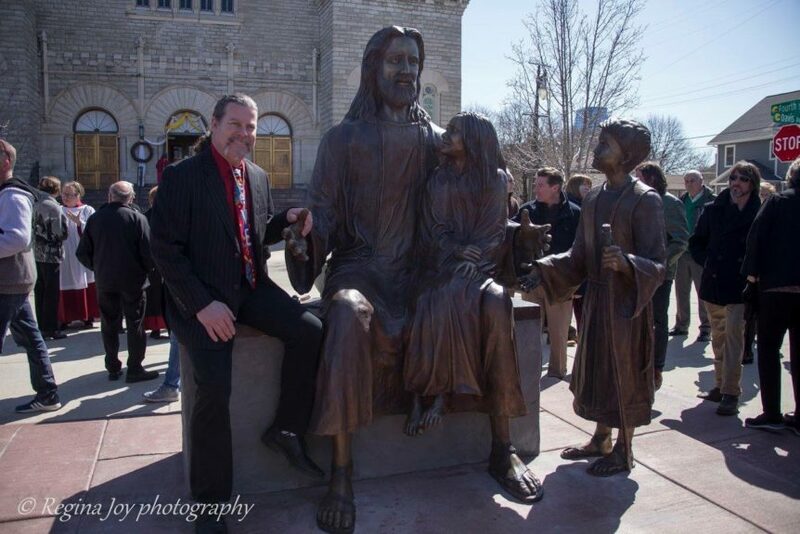 Recently Mic’s newest sculpture, Jesus and the Children, was dedicated at the Basilica of Saint Adalbert plaza under a cobalt sky. And an interview Mic did with WGVU’s Shelly Irwin.